Leisure World has the distinction of being the first planned retirement community in the country. The 542-acre Seal Beach community, which opened in 1962, also has a few other distinctions such as a gorgeous golf course, several club houses, an onsite medical facility, and close proximity to the beach. It’s hard to imagine why anyone would want to leave, but when residents need Leisure World movers, they call Coast Valley Moving & Storage, Inc. Since 1972, our moving professionals have been the first choice in Leisure World moving companies. As a Wheaton World Wide agent, we have access to the best moving professionals and equipment from coast to coast. No matter where life takes you, we can help you get there! Moving out of state can seem a bit daunting. Even if you’re moving for an exciting reason, such as to be closer to the grandkids, the process of packing and moving across state lines involves a lot of work. Coast Valley Moving puts customers first—always. That’s why when someone wants a hassle-free residential move at a competitive price, they call us! 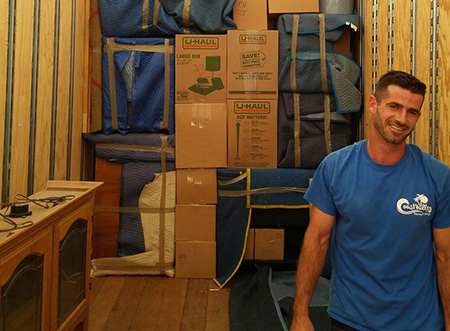 Our full-service moving is a popular choice, but it’s not the only option! Some who use our Leisure World moving company don’t need the full service option. Your relocation coordinator will work with you to create a custom moving and storage package that fits your needs and your budget! To us, meeting each customer’s needs is just as important as the bottom line! Movers in Leisure World You can Count On! Moving from Leisure World is likely bittersweet. The least we can do is take the guesswork out of the moving process. We keep our promises when it comes to arrival times and moving costs. If we say it, we do it. We know that you trust us with everything you own, and we don’t take that trust lightly. We’ll handle all of your items with care—just like we would if they were our own! We’re part of the Newport Beach community, and we love helping our neighbors. While we hate to see you leave, we’re happy to help you move! Planning a move? Contact our Leisure World movers today! Give Coast Valley Moving a call to speak with a relocation specialist or fill out our online contact form to receive a free, no-obligation estimate. See for yourself why we are the most-trusted Leisure World moving company!